Thanks for the good post.I wanted to know about oracle SOA suite 10gR3 (10.1.3.4) with MLR#4.Most of our system created have default value of 1 , how do i come to know for a given environment what is the approximate number of listener required. When creating an ESB system the number of listeners is defaulted 1. The required number of listeners depends on several factors, ranging from number of services and adapters to underlying OS and hardware. 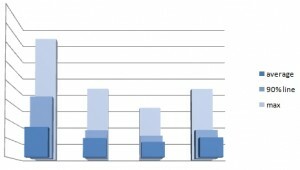 Sources at Oracle point out that the number of listeners varies for most ESB systems from 20 to 50. 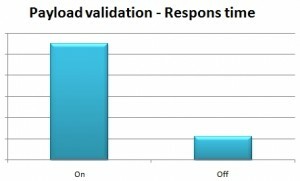 To determine an optimal value for this customers system we did some loadtest. The aggregation of the results was shown in the diagram in the blogpost. Thank you very much for the quick reply.I will try to perform the load testing and come up with the proper value as you have mentioned. I have One more question to ask, Is 10.1.3.5 a stable version ?.Definately we will do all the required testing,All I wanted to know is whether 10.1.3.5 is as stable as 10.1.3.4?. can u please specify that response time mentioned here is calculated from where. Is it the average of all the summation of processing time of a instance. I have not yet installed 10.1.3.5 myself. I don’t see any reason why it should be less stable than 10.1.3.4. Some people consider this an in between version that enables customers to run SOA Suite in a supported wayon a recent Weblogic version (although no confirmation seen of this on metalink). 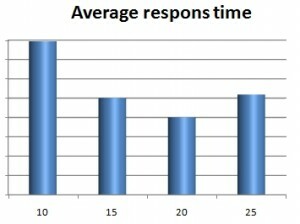 Jmeter was used to test and measure respons times. So typically measured from the client side. The measurements where on async web services. So there was a queue between the web service called by the client and back end systems. This buffers results in a scenario where a “respons” was given back to the client, and it still can take time to process the message into the back office systems. We have no experience with VTD-XML. As far as I understand it VTD-XML could give some relieve if your system is bound on CPU or RAM on the XML parsing part.